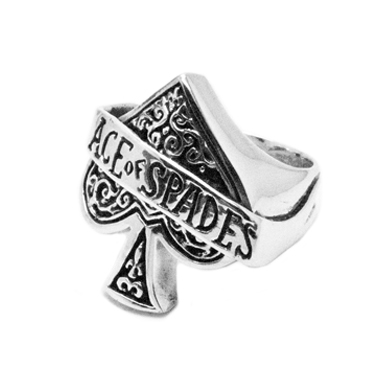 In a match seemingly made in heaven, Motörhead has teamed up with London’s favourite metal (as in, METAAAAL) jewellers, The Great Frog, to create two limited edition silver rings. Long a favourite of London’s ~alternative scene, The Great Frog is famous for its hulking great silver rings featuring classic rock insignia – skulls, snakes and slaughtered hearts, that kind of thing. Motörhead are long-time friends of the store, and really, is there anyone cooler to collaborate with? 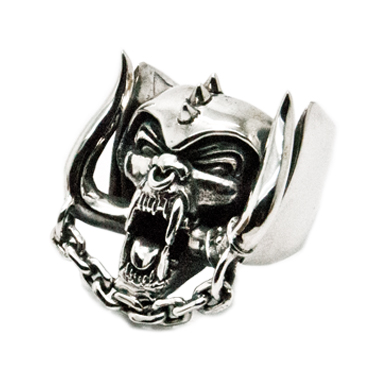 There are two sterling silver rings, one featuring the classic Motörhead warpig logo and the other – what else? – an Ace of Spades. Each is numbered, with the first five going to the band and their management. The rest are available for you to buy (for me) here, starting at a very reasonable £180. These are brilliant. I love the ace of spades one!